It represented the “Just-say-no” ethos of the era, when illegal drugs were seen as a broad and sinister threat to American youth, with little room for discussion. In 2016, drugs still take a toll on the health and well-being of the young, but the conversation is different. The non-profit Partnership for Drug-Free Kids has released an updated version of the campaign that picks up where the earlier campaign stopped. The “Any questions?” line, uttered like a challenge 30 years ago, now is an invitation for earnest conversation with young people. “Drinking is worse than smoking weed, isn’t it? Rebecca Shaw, director of advertising for The Partnership for Drug-Free Kids, says the new spot has been “re-envisioned to reflect parenting today and the change in perceptions and awareness about drug use." She said the campaign is intended to equip and prepare parents for difficult questions from their kids about drugs. Learn more. Thank your child for coming to you with questions. Remind your child you care deeply about his or health and well-being. These tips, along with a discussion of answers to the questions posed above, can be found at the non-profit’s website. The U.S. Centers for Disease Control and Prevention has a similar set of communication tips for parents at its site. It also has a sobering set of statistics on the use of illegal drugs. For example, the agency said in 2014 that 10.2 percent of people 12 and older used illicit drugs in the previous month. Monitoring the Future is a continuing study of the attitudes and behaviors of secondary school and college students. It recently issued a pair of reports on drug use among secondary school students and college students. The reports and more background are available at the Monitoring the Future site. Providence has resources for young people, parents and anyone else with questions about drugs. You can contact substance abuse and treatment programs in Oregon and Southwest Washington, Alaska, Montana, California and Washington, including in cities not linked to here. To discuss drug use and treatment, talk to your provider. 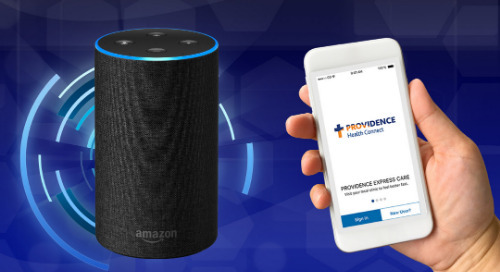 If you’d like to connect with a Providence provider, you can find one here.